Scenic vacation home on 22 forested acres along South Coppei Creek. 1 bed/1 bath. Rustic log siding, Energy Star(R) windows, covered Trex deck, fully furnished, completely remodeled including new roof, new ceiling, new rug and tile, new wiring, new plumbing, new bathroom, new foundation. You name it...we did it. If Joe did it...it has to be right! Move in today for only $150,000. 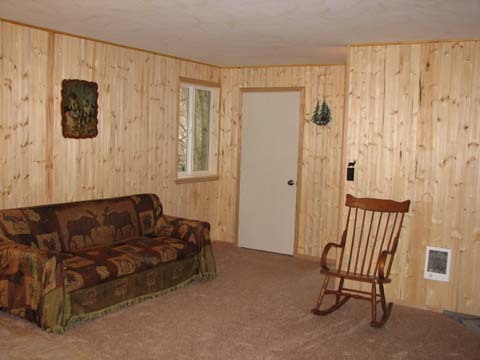 You'll love this secluded, peaceful, quiet retreat complete with evergreen trees and wonderful wildlife. Get a good night's sleep in the Moose bed!